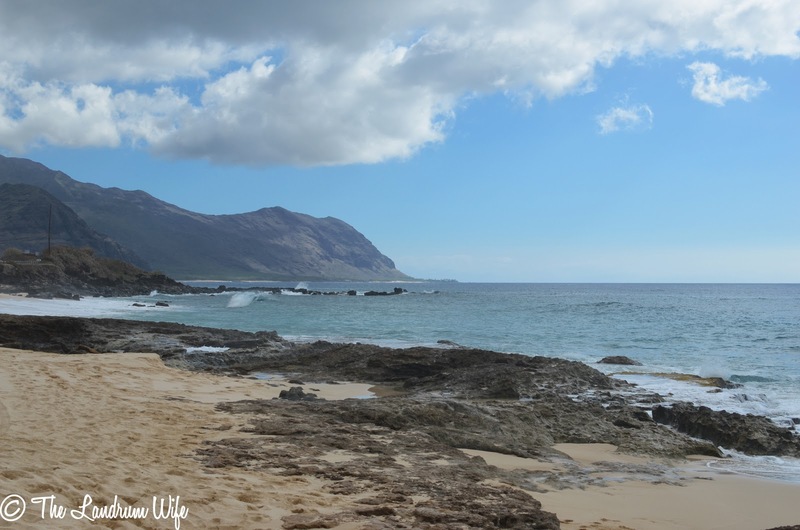 Ka'ena Point Beach, Oahu, Hawaii -- almost had to pinch myself when we visited this beach! When I was younger, my dream for myself was to travel the world. I never knew how I would accomplish this dream -- whether by a job or just a random whim to backpack around a country -- but I always understood that travel was a very important priority for myself. Little did I know not only would I get some traveling under my belt (thank you, European honeymoon! ), I'd actually be living in a place to which most people dream of vacationing! What's your most favorite place you've traveled to so far? beautiful photo! As a child, I dreamed of being a world traveler as well. I never thought about how I would fund such a dream. That has been the hardest part. I should have thought about where I would live too. I know what you mean! It's so easy to dream away and not have to think about the financial aspect of it. In a way we're fortunate the military got us out here and will eventually get us back, it's just all the trips in between that are going to be costly! A lovely picture and living in a place some of us only dream of visiting!! !